2012 has been rough for many of us including myself. This past year has hurt me in so many ways. I feel it has been the worst year of all my forty-three. I’ve been battered and bruised and my ego has surely taken a hit. 2012 had me on the ropes and seemingly down for the count more times than I’d like to remember but I keep getting up and that is the important thing…and I’ve grown immensely; in confidence, character and compassion. This past year has certainly been a lean year as I’m sure it has been for many people but as awful as this year has been it has given me a gift that a million good years could never grant me; the gift of appreciation. Previously in my life like so many others, I measured success in dollars and although I have never been rich I have generally been comfortable; enough to have a secure roof over my head and more than enough food to eat with a little left over for small indulgences such as trips to Starbucks, dinners out a couple of times a week and frivolous clothes shopping excursions every once in a while. No matter how much I had, I found myself wanting more. It seemed in my warped frame of mind that there was always something I seemed to lack compared to other people around me who always seemed to have more. It was as if I never measured up and that was a refection on me as a person. I would go to the mall and pass by “Joe Brown’s Caramel Corn”, a long-time popular fixture there. I would smell the caramelly goodness and lament that I couldn’t afford a treat. The place was always busy at the time and it seemed to me I was the only one who had to pass it up and I felt bad. This past year has wiped out any non-necessary spending at all including my sale hunting shopping trips to the mall…but as it has a tendency to do: life goes on and I couldn’t just sit at home anymore and feel sorry for myself. I returned to the mall and passed by Joe Brown’s but I had been altered somehow. I smelled the heavenly scent emitting from that popular spot but instead of feeling bad because I couldn’t partake in some caramel corn I felt grateful to be able to appreciate the yummy smell. I walked around and people-watched and just took it all in and for really no reason at all I felt elated! And then it hit me… I was enjoying myself and I didn’t need a dime to do it. I discovered what I had been missing all along: a sense of appreciation just to be alive. This was a feeling that perhaps I never truly had before. It is easy to pay lip service and say you appreciate the small things but to really and truly feel it is quite another thing. It is a gift that hardship has given me. I have my health and most importantly a family that loves me and that is so much more important than anything! In that I am rich and no matter what the future may bring, I will always carry that around in my heart. Wishing you a Happy and Healthy New Year full of LOVE and togetherness with family and friends. It’s the end of the world and I feel fine! Hello! If you are reading this the world has not ended…yet. I still have time to let you know that I need your help because I’m not even close to being ready for all of this. Does anyone know any Mayans? Are they still around? Maybe someone can give me their number. An e-mail address perhaps because as I said I am not ready for this at all. Seriously, I don’t want to burst anyone’s bubble or rain on anyone’s parade but I think these Mayans may be a bit off. I know there are supposed to be signs to the coming apocalypse. I’ve seen enough disaster movies for that. I suppose a case could be made in this aspect as crazy as the world is but hasn’t it always been crazy all along? What about those crazy conquistadors? Did the Mayans see them coming? I have heard many silly stories about this but this one takes the cake: Supposedly a mountain will open up in France and UFO’s will come out, I guess sort of like a spooky pinata spewing alien sweet things all over. Now if that were true it would be interesting to say the least. I have always had fantasies of “my people” coming to take me home, but they being intelligent life forms would see the sheer folly of it at this time; Christmas is only a mere 4 days away! I’m sure the aliens are much too busy. And the zombies…let’s touch on the zombies here. Some including my son have been warning me of the impending Zombie Apocalypse. This seems a tad more realistic, I’ve seen all the movies but for that too…I am not ready. Apparently there is a training course one must take to be prepared and frankly, I haven’t had the time….and really, zombies? Most of them are pretty slow and I’m sure I could outrun them. I think I’ve even seen a few in real life: Ever been to a 24 hour grocery at 3 a.m.? They are no threat believe me, all they seem to be looking for is junk food not brains although I’ve seen some scary ones at the DMV–yikes but really, in all honesty I don’t view a couple of cuddly zombies as any threat. Some say the magnetic poles of the Earth will do an abrupt shift. Now that is something I could get behind…maybe it would bring us in the northern hemisphere an instant and early summer. I would really enjoy that. Others, mostly people in the government are predicting we’ll fall off some fiscal cliff thing, now THAT is ridiculous, I can see zombies…but that? HA! destruction. NASA has taken this one on: they say it’s a hoax, but then on second thought…why believe NASA? Aren’t they the one’s behind that moon landing hoax and all those fantastic claims that the earth is round–ha, who’s crazy here? That was the Maya on the phone, apparently they do still exist. They too don’t believe the world is ending and they want everyone, including me to stop blaming them. I guess I’m back to square one….If it isn’t The Maya behind all these dire predictions, I wonder who it is???? 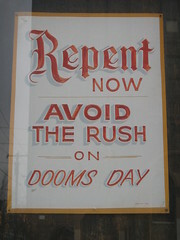 It could be the Doomsday Preppers or the 90’s Band REM who did write a song about this very thing and claimed to feel fine about it…or it could be someone in Hollywood, like John Cusack is behind this, perhaps there is a sequel in the works to that 2012 movie he was in…..hmmmm…. It could be Scientology’s, Tom Cruise, he’s a bit wacked you know or perhaps it’s the Amish Mafia, now those guys are scary tough, talk about scary tough…what about John Boehner? I hear he’s power mad…or…gasp…this guy? … I could go on….. I don’t know who it is but whoever it is…STOP THIS because I am not at all ready. I still have to clean out my fridge. Now THAT is scary. ESSENTIAL READING IF YOU ARE TO SURVIVE THIS!!! Author StrawberryindigoPosted on December 21, 2012 December 21, 2012 Categories Current Events, Humor, Social CommentaryTags Amish Mafia, Doomsday, End of the world 2012, John Cusack, life, Maya calendar, Nasa, satire, Zombie Apocalypse33 Comments on It’s the end of the world and I feel fine! I have been frequenting this bank for the last twenty years or so and I have never seen it quite like this: Ever since Occupy Portland staged a bank protest day the people at the bank have become seemingly friendlier and friendlier. To the banks this may seem like good public relations but it seems too artificial and it is unnerving to me. I look for the cookies to no avail and I feel stupid for doing that…of course they must be practicing the popular trend of piping in the intoxicating aroma to lull us poor unsuspecting customers into a false sense of security… Trust perhaps? I see the poor nervous ones in the corner, waiting uncomfortably in comfy plush chairs arranged in a circle in a vague semblance of someone’s living room. They are waiting their turn to see a personal banker. (aka purse string holder) These are the people who help you apply for a loan or help modify your mortgage. Every one of these poor waiting people look sick. One in particular, an elderly man in a frayed jacket with paint stains is visually shaken. I’ve been in that spot before; I feel sorry for them and relieved that I am not among their ranks–today. It is a strange event when banks won’t take cash from you…Yes cash, that funny green paper we mortals keep passing around, the dirty stuff you must wash your hands after using. We had an envelope of cash–around $300, not much to some but a lot to me. MM hands them the wrong bankcard from another institution of banking and larceny. He receives a disappointed look, like he has been caught cheating. I add to the insult by writing the wrong number on the deposit slip. the teller who resembles Timothy Geithner asks for his ID. He hands it to Timmy but Timmy now squints and gazes at him sideways; MM looks different from the picture with his newish beard and that was that–Timmy refuses to accept the money, seriously. He tells us with utter contempt to return with the correct information. In the past no one has questioned us for such an offense, in my experience banks will always take cash but not today… we are perplexed. I say to MM: ” I should write about this.” He gives me that “Oh no, not again” look but quickly tries to cover it with a placating smile. I don’t know how he can put up with me sometimes and as the afternoon goes on I ask him and a few others if they have ever heard of any interesting stories about banks in the news lately…especially nice ones as I want to get all angles of this story–Happy bankers, heartwarming tidbits of gleeful giving, perfect for the upcoming Holiday season…I ask this with a straight face. I really want the banks to be able to redeem themselves in my eyes, really, I mean it! …I know what you’re thinking and everyone I talked to thought along similar lines and so all I get are the same placating smiles and polite “No’s”. I felt like the long-suffering wife in a bad marriage; unloved and unappreciated. I looked at myself hard in the mirror, I studied all the newly formed worry lines on my face. I took way too long showers and cried myself to sleep. I binged on chocolate ice cream and listened to love songs and cried even more…well…no, not really but I did have some ice cream and I did do one other thing–for real: I quit that bank. I realised that it really “wasn’t that into me“ and I withdrew my little sum of money and marched straight to the arms of another love–The local credit union! I am stunned and saddened by what has happened in Connecticut today and I am compelled to write this. I suppose that is only human nature; to reach out after such a tragic event. My fingers are flying across the keyboard as I quickly compose this. First of all, my heart goes out to all the families and to everyone involved…really…my heart goes out to everyone because we are all involved. I yearn to offer words of comfort, of solace. I want to say that everything will be alright. .
All I can say at this point is this must stop! I am frightened at what this world is becoming. I’ve been making light of this end of days business; this crazy notion that the Mayan’s have predicted the world ending on December 21st of this year. I still don’t believe in that insane notion but nevertheless, I am keeping myself and my family at home on that day, not because I believe the world will end but because I doubt the sanity of my fellow humans and I don’t trust in them. I guess I should say “us” because it is “us” and this angers me. Is this what we humans are about?! We think the world will end so we go crazy…this mania is contagious and if I have helped spread it by my making fun of it, I regret this… and again I say, this time I am screaming; THIS MUST STOP!!!! Why oh why do we humans need to turn on each other in times of crisis? This is a rhetorical question I expect no answer…and I really don’t know why I am writing this…I can offer you nothing really, no insight or answers, no comfort but to offer a discourse and a suggestion…a sugggestion that will probably be repeated time and time again over the coming days. Be there for your loved ones, hug them a little tighter tonight. Be a shoulder to cry on or an ear to talk off, or a heart to reach out with love. Be there; because we need each other–especially right now. Take care and remember LOVE is contagious too. I wear rose-colored glasses. I’ll be happy to admit it. These glasses are relatively new and they perfectly accessorize my colorful wardrobe. I haven’t always been so optimistic. Most of my life I dwelt in a pessimistic darkness I called realism. I prided myself on my cool demeanor and my tough exterior. I took life as it came: living for today but not much more. My attitude was let’s party now before the world ends. I even thought at one time the world would be better off without us. We humans after all have treated our planet so shabbily. Successful parasites have learned not to kill their host. We humans have not reached that pinnacle…yet, but I am rooting for us. I believe in us. I have a hope I didn’t have before. I thought hope was for fools and dreams were for idiots. I had jaded myself intensely at a much too early age. My realism, interests and inquisitive nature has sent me on a lifetime fact-finding truth-seeking mission. I am compelled by thirst for knowledge more than anything. It is probably due to my Asperger’s. It is a trait I would not change for the world but I know It drives those around me a little crazy. I used to be an avid news watcher, a political junkie and imaginary pundit since the 1976 presidential race when I was 6. I took an immediate and not really age appropriate interest in politics then, and I have always been that way. I abandoned the Sunday comics for the business section and editorial page. Being a media junkie at the time, growing up in the 70’s, I bought in to all that hype about global warming and overpopulation. I’ve been an avid earth watcher and I listened to the predictions. I wish our government had, but nevertheless I knew. I started hearing and learning more about a great many things. The more I learned about the world around me the more I wanted to learn. I have this curse, or I guess a deficit in which I know a little about a lot. Which means I am the perfect example of why a little knowledge is a dangerous thing. 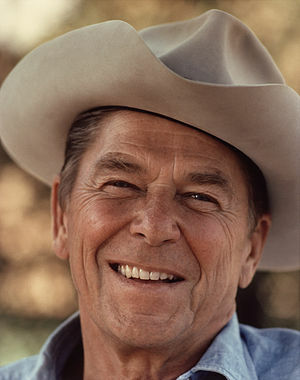 At the age of 10, I was convinced Reagan would get us all killed in a nuclear showdown with The Russians. I would smirk sarcastically at the old “duck and cover” movie bits. I knew there was no real way of surviving that way. I prided myself in my cool realism. 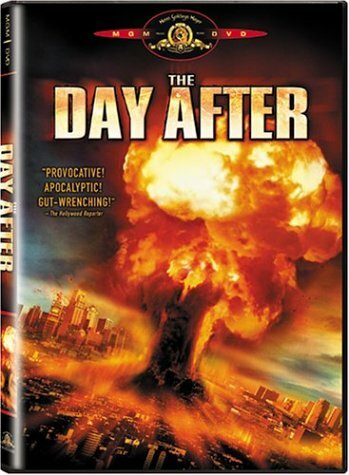 I saw “The Day After” I knew what would happen after a nuclear attack, besides I “knew everything” at the time. The odds were grim. I prided myself on my outside show of toughness but inside I was a quivering mess. I was convinced we were all going to die in the dreaded World War Three or worse yet…survive in some radioactive post apocalyptic nightmare. I began to read the works of Nostradamus and this only confirmed my suspicions. …and life must go on and go on it did and after a number of years I found myself looking into the big beautiful blue eyes of my infant son. So loving…so trusting with such a full life ahead of him. He was depending on me and I had to get it together if only for him, and that is when I donned those rose-colored glasses. I’d be damned if I let him down. I felt I had no other choice but embrace optimism. As time goes by I see the results of this crazy optimism and it never ceases to amaze me….it works…it really works and I am a testimony to that. I still have my dark moods, stick around and you’ll discover this, but every black cloud that rolls around in my brooding psyche has a silver lining and it did not just happen that way. Whenever I see that black cloud sneak up on me I face it and take out my imaginary silver pen and line it with gusto and I’d like to think a flourish. So, think me an unrealistic, sunny fool with an unduly cheerful, optimistic, or favorable view of things. I am doing something I never thought I’d do–I’m drinking the Kool-Aid of positive thinking; colorful and infused with a certain satisfying sugary goodness that can only come with the belief in belief and it is delicious! Tell me the world is going to hell in a handbasket–I’ll just smile, put on my rose-colored glasses and partake of the sweet nectar. Optimism: Drink deeply, my friends.